Cunard has announced the cancellation of Queen Victoria’s 16-night ‘Adriatic Discovery’ voyage originally scheduled for departure on 3 October citing propulsion issues. The ship will enter an impromptu drydock in Bremerhaven with an expected return date of 17 October when she will sail on a new two-night voyage from Southampton before her scheduled 23-night Caribbean itinerary departing 19 October. 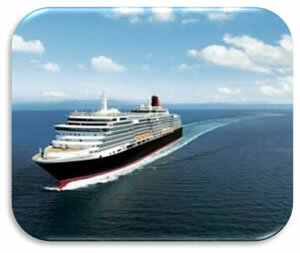 “Although there are no safety issues relating to this maintenance, it does preclude the ship achieving the speeds required to deliver the voyage itinerary and therefore it is necessary to take the ship out of service for a short period,” a Cunard spokesperson said in a statement to Cruise Critic. Cruise Critic also reported that the cruise line has contacted any passengers affected by the cancellation with the option to book an alternative Cunard voyage or receive a full refund, in addition to a 15 percent future cruise credit. The smallest Queen will continue on both her current and next voyage as scheduled at a slower speed, with the only itinerary change recorded being the substitution of Oporto for Vigo.